Quandec is a generic scenario-based graphical interface for optimization models written in AMPL. It offers an intuitive and user-friendly web application designed to help decision makers analyze results, compare scenarios, make reports, share work with colleagues, calibrate equations with regressions, and much more. 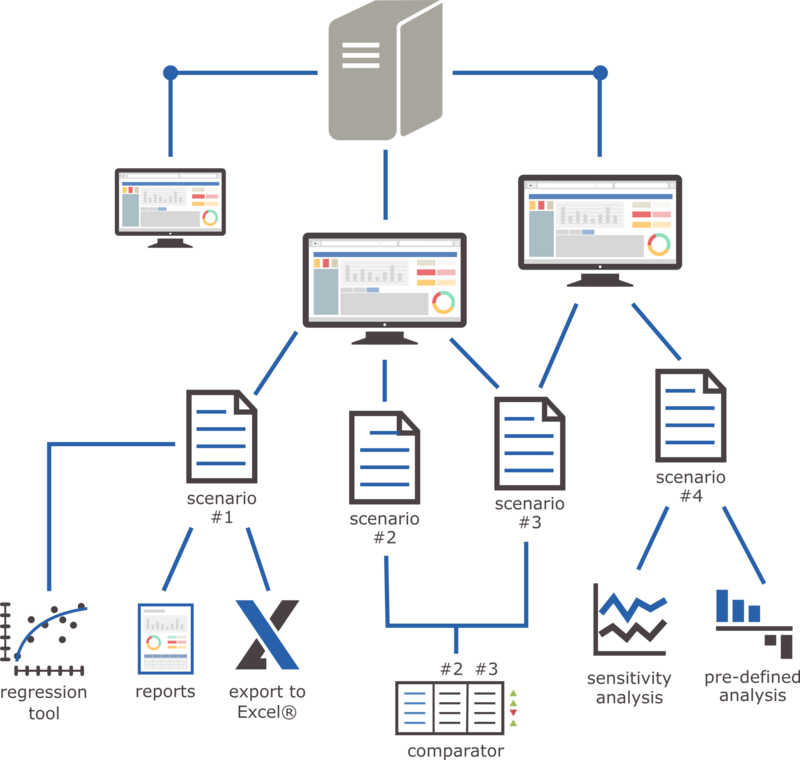 Quandec puts models’ complexity in the background, to let the decision maker focus on the analysis and results. Compare scenarios: Optimize your model with different sets of data. Create scenarios and compare their results. Analyze the differences and build your own reports. Perform analysis in a few clicks: Do you regularly perform the same analysis? In Quandec you are able to create a script — a sequence of commands that use some predefined parameters. Calibrate with Big Data: Quandec deals with large data sets and finds correlations between variables within a built-in regression tool. Resulting equations are used inside the optimization model. Share your work: Share your scenario with your colleagues and all of you will be able to access it simultaneously. Moreover, you define what they can do with your scenario: edit, comment or consult. Communicate with Excel®: Any input data table can be exported to Excel. Templates of tables can be used for importing data into Quandec. Copying from Excel and pasting values into Quandec tables is always possible. 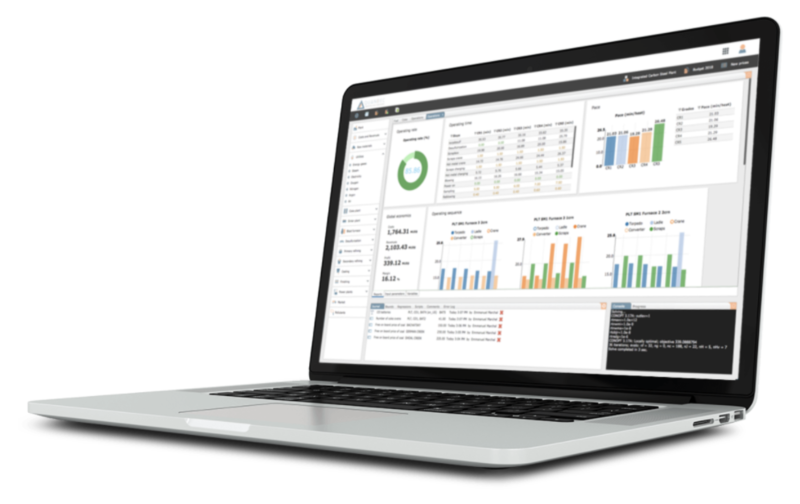 Graphically present your results: Use reporting tools, such as charts, dynamic tables and lists, to easily present the analysis and results of the optimization. It all starts with your AMPL model. 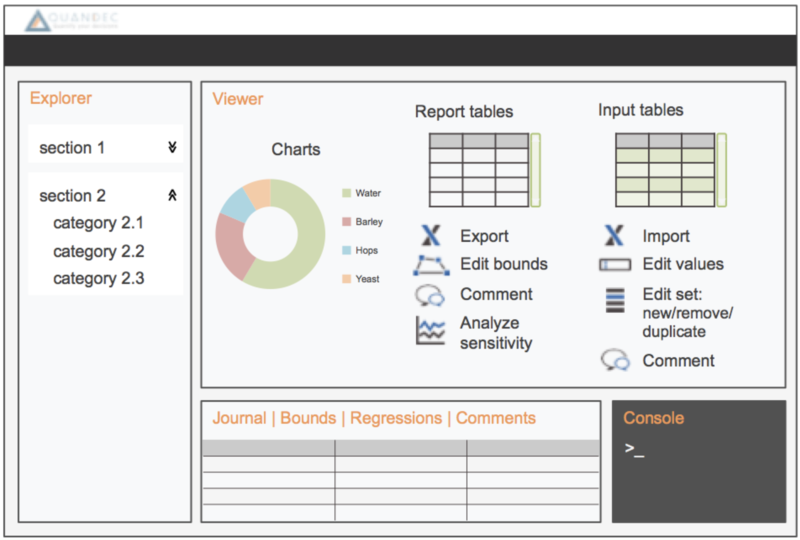 and variables (many options of tables and charts). configuration files into an Quandec App. 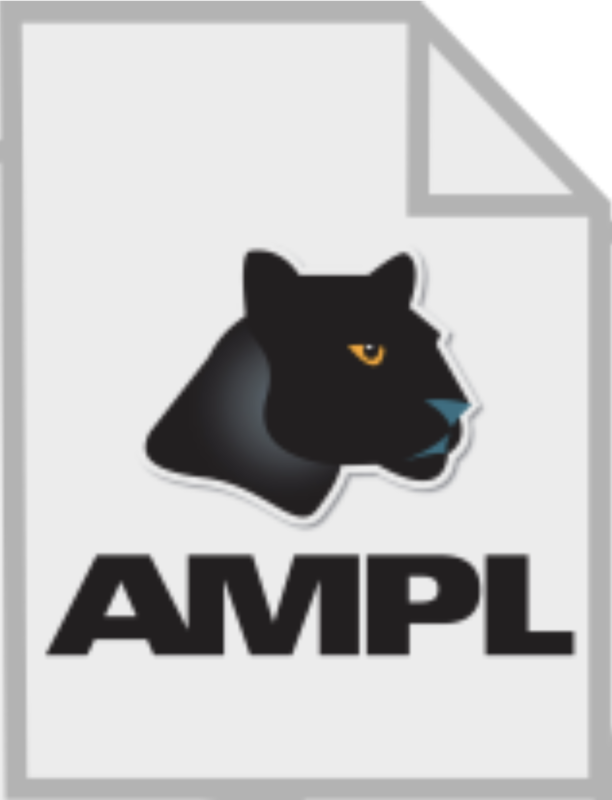 Your AMPL model is ready to be used via Quandec, full of cool features! Run sensitivity analysis over parameters or variables or even complex AMPL scripts. Create scenarios and evaluate changes in parameter values, variable bounds, or regression settings. Click on our videos below to learn more about Quandec’s tools and functions. Contact us at quandec@ampl.com to discuss your needs or set up a trial.